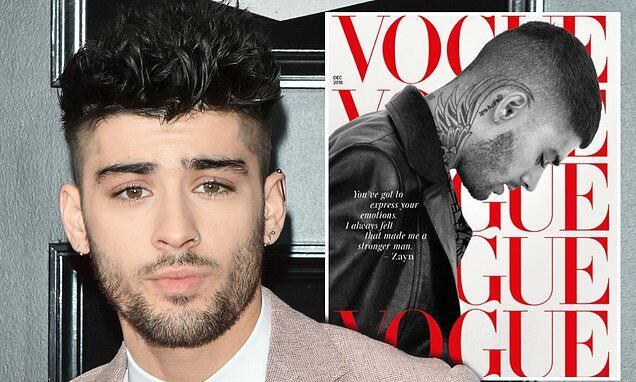 Zayn Malik has confirmed he no longer identifies as Muslim in a new interview. Speaking to British Vogue, the former One Direction singer, 25, said he is not a practicing Muslim anymore and no longer believes in 'any' of the religion. The singer added although he had a 'spiritual belief' of a god, that he did not endorse Islam religious practices such as daily prayer and eating halal meat. He said: 'I don’t believe you need to eat a certain meat that’s been prayed over a certain way, I don’t believe you need to read a prayer in a certain language five times a day. He added that he plans to move through his life in a 'nice way' and that his core belief is that if he behaves well, he will get treated the same. The star said that it was 'really easy' for him to drop the religion with his family, after previously attending mosque and studying Islam while growing up. He said his parents had always given him and his siblings the option to choose for themselves. The star's revelation has sparked a backlash online from some fans, while other followers said it was not for them to judge and his lack of faith was a matter for God.